It’s easy to overpack your content when trying to connect with your customers. Unfortunately, it often becomes stuffed with distracting fluff. To avoid this mistake, make sure to give your copy a good trim before sharing the final product. 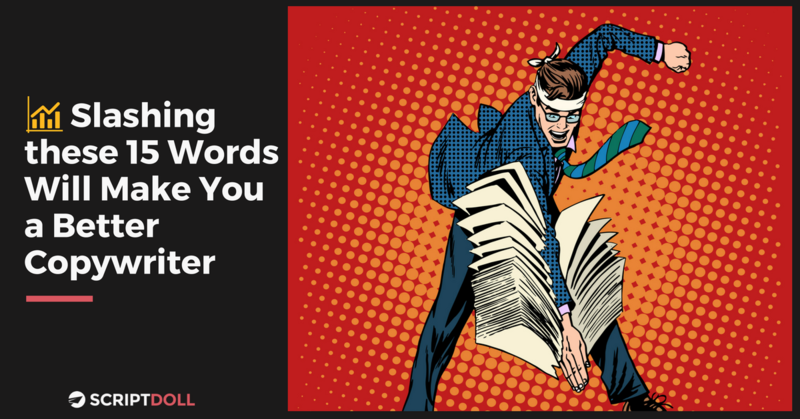 Take note and get rid of these 15 words that often creep into writing. Your readers will thank you! Now that you have the list of words to watch out for, always keep this question in the back of your mind: “Is this word necessary?” Your content will become easier to understand as you cut out the flab. In turn, better results will inevitably come. But what if I told you this process could be even easier? Lucky for you, we are your solution for skipping the editing step. Try out ScriptDoll for $1, and have copy created for your business that’s guaranteed to sell. Now that’s something we can all appreciate! So what are you waiting for? Sign up today and get access to some of the best sales copy around!